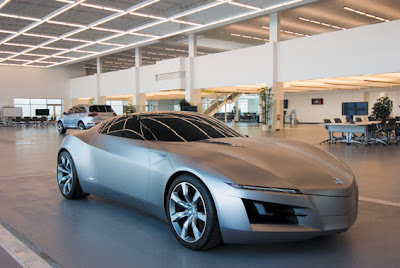 The new $15 million Acura Design Studio officially opened its doors today, assuming a key role in the development of new concepts and designs that will lead directly to future Acura products. With state-of-the-art design technologies and a work layout focused on improving collaboration, the new design studio represents the next step in the advance of the Acura brand. Designed to achieve a high level of energy efficiency, the studio also is expected to be certified as a Leadership in Energy and Environmental Design (LEED) building by the U.S. Green Building Council (USGBC). A number of measures were adopted in the design and construction of the studio, with the goal of achieving LEED gold certification. "This Acura Design Studio will help conceive and design the future of Acura," said Toshihiko Nonaka, president of Honda R&D Americas (HRA). "Our goal here is to create emotional designs that create a strong and distinct image for Acura products." A number of Acura models, including the Acura MDX luxury sport utility vehicle and Acura TL luxury performance sedan, have been designed, developed and engineered by HRA. 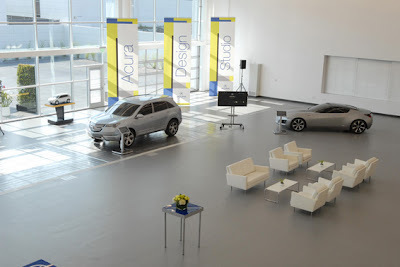 Moving Acura design activities into a state-of-the-art independent studio provides a more clear focus to advance the unique character of the Acura brand. "The Acura Design Studio will be critical in our efforts to deliver products at the right times and ahead of the competition." "Acura is no longer a large moon circling the Honda planet," said Jon Ikeda, manager of the new studio. "We now have established our own orbit as an independent Acura planet." 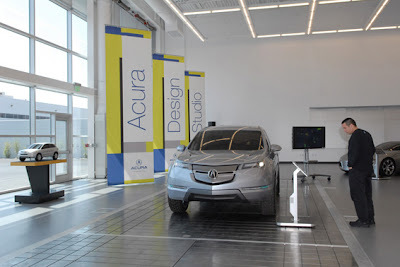 Key technologies in the Acura Design Studio include a computer-generated virtual simulator that enables design stylists to display virtual vehicles in a one-to-one ratio. 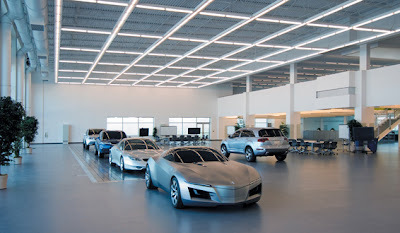 Other features in the facility design include the parallel arrangement of the interior and exterior design areas on the styling floor to better enable collaboration of designers involved in a new vehicle. 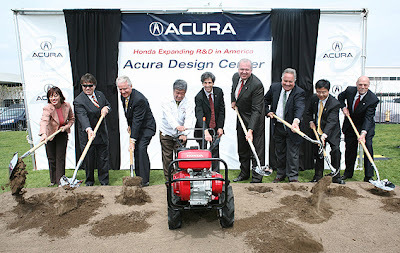 A celebratory groundbreaking for the Acura Design Studio was conducted March 27, 2006, marking the 20th anniversary of the creation of the Acura brand. 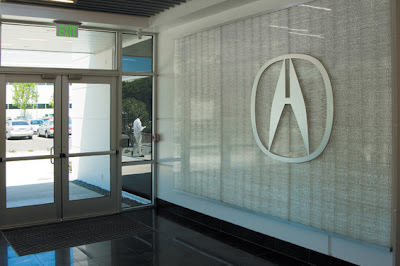 Acura was the world's first Japanese luxury nameplate and the first Japanese luxury automaker to design, develop and manufacturer its vehicles in North America. Today, nearly two-thirds of all Acura vehicles sold in America are researched, designed, developed and assembled exclusively in North America. 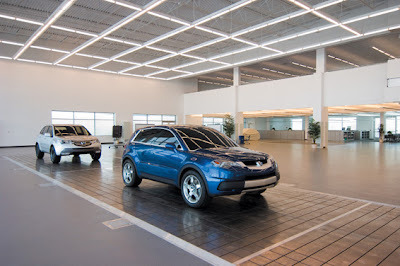 In the effort to achieve a Gold rating by the USGBC, the Acura Design Studio includes many energy-saving attributes such as an Energy Star reflective roof to reduce heat gain and lower air conditioning requirements; reclaimed water used for landscaping; and an intelligent lighting system that makes greater use of natural light. 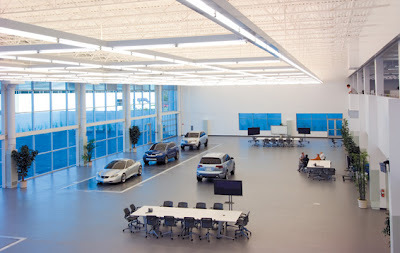 Honda has other LEED gold certified facilities in Gresham, Oregon and Raymond, Ohio. 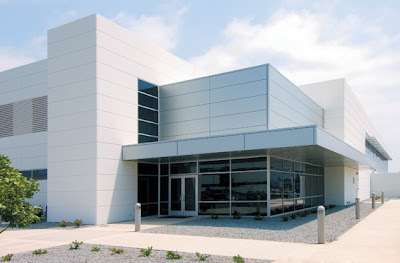 With the addition of the Acura Design Studio, the company operates 13 major R&D facilities in North America with more than 1,200 designers, engineers and support personnel engaged in the development of automobiles, motorcycles and power equipment products for North America and global markets. HRA's major centers include the Los Angeles Center (Torrance, CA) responsible for market research, concept development and styling design; the Ohio Center (Raymond, OH) responsible for complete product development, testing and support of North American supplier development; and two dynamic test facilities in California and Ohio; and the North Carolina Center (Swepsonville, NC) responsible for power equipment R&D.